Posted bycyclingpassion	 January 6, 2019 January 6, 2019 Leave a comment on How to ride a mountain bike on the road? One of my friends bought a mountain a few days ago. Though a mountain bike is to ride on an unparallel surface, he wanted to ride it on the road. He gave a try to ride his mountain bike on the road without knowing the proper way. Then what happened? He fell in a horrible injury and his bike was damaged entirely. What are you thinking now reading this story? Do you should ride your mountain bike on the road or not? The answer is you can ride even on the road, no problem. But for that, you have to know the exact method of riding on the road with your mountain bike. It is because you are going to ride on a different surface than you do usually. For you, I have designed my article with a detailed guideline of riding with a mountain bike on the road with full safety. Then why late? Let’s drive into the main content. Riding a mountain bike requires some extra gears and tools. These actually help you to handle any unexpected situation on the road. You should bring them to ensure your safety as well. So to avoid any hassle on the road in riding a mountain bike, have a look of the following checklist. Mountain bikes are specially designed for riding on the unparallel surface like mountain and hill. So when you are going to ride it on a parallel road, you have to bring some changes in your body postures as well as in your bikes. Here are some important facts that you have to follow to ride a mountain bike on the road. Mountain bike usually come wider tires along with knobbies. That’s why they are a little bit slower as well as louder. So to ride it on the road, the first thing you should do is to change the tires. In that case, 1.5” semi-slick tires can be your perfect choice to replace the wider tires of the mountain bike. They will let you have a smooth and uninterrupted riding on the road. 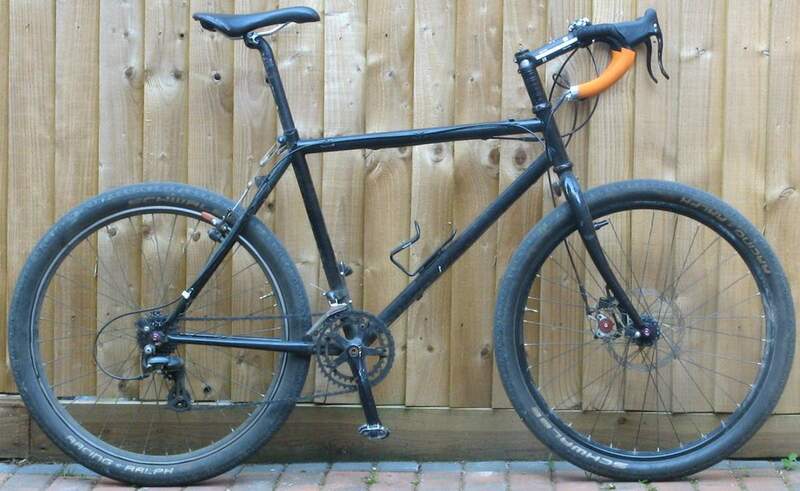 A mountain bike is to some extent heavier than a road bike. This extra weight may make an obstacle in your riding. So cut off those features and gears that make the mountain bike weightier. A light bike is more comfortable to ride. It is the most important technique that you should apply in riding a mountain bike on the road. Use maximum possible pressure on the tires. For riding on the road, the pressure on the tires should be 50-60 psi. It depends on the tires actually. Mountain bikes come with some sort of extra features. For having these extra gears and features, they become heavier. Eventually, the extra weight makes it tough to handle on the road. So to have a smooth and trouble-free riding cut off these extra gears that are not necessary at all in riding on the road. To ride your mountain bike on the road you will have to make the seat in more height. Actually, mountain bikers don’t require more seat height. They ride on a lower seat. But when you are going to ride on the road, you have to adjust the seat height as it requires more seat height on the road. Safety first. As you are riding on the road with your mountain bike you cannot help maintaining some safety issue to avoid an unexpected incident. So have a look at some of the important safety tips. Check fitness and functionality of all the equipment f your bike before each ride. Never forget to wear a helmet and fasten it properly every time. Always keep extra safety gear with you. Always keep conscious looking surrounding you to know who is passing you. Wet and soft trails can be dangerous for riding. So always try to avoid riding on such trail. Don’t lose control to your ride. Know your ability and ride as per it. When the roads are wet, for your better traction control, lower the tire pressure. An open trail is the most suitable for riding. Try to ride on open trails every time. You should use brakes intermittently when you are riding on rough terrain. Lower your seat in riding on the long downhill. It will let you keep your center of gravity. Always keep the repair equipment with you. It will help you lot to solve any mechanical problems when you on the road. Don’t reach such a speed that you can’t control anyway. Always ride keeping your full control. Riding a mountain bike on the road can be an awesome experience for you if just you can do it in a perfect way. Otherwise, it may bring a great disaster to you. Hopefully, the above-mentioned guideline and safety tips will let you enjoy your mountain bike riding. Just follow these tips and tricks and be an expert mountain bike rider. Most importantly, don’t forget to have a look at the checklist before going for a mountain bike riding. These items will ensure your safety and smooth riding on the road.